Shopping for cheap projectors for your home theater is a practical choice. However, the meaning of cheap can vary depending on your budget. Projectors are available in a very wide variety according to their type, prices, sizes and brands. In your search for a cheap projector, you should be aware of their different types and their differences from one another. 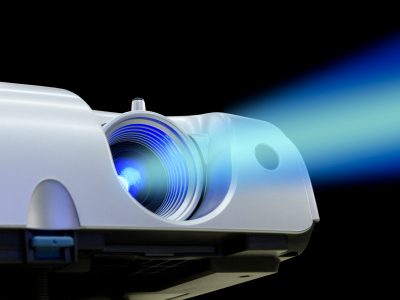 There are basically three main types of projectors in the market – CRT, LCD and DLP. CRT (Cathode Ray Tube) projectors are known to offer the highest quality when it comes to picture and resolution. A CRT projector uses three big tubes in order to display the image which is somewhat similar to how a television operates. Because of the high quality output that this projector provides, it is naturally expensive compared to others. This makes a CRT projector not so suitable for your home theater. Another type is the LCD (Liquid Crystal Display) projector. It works by shining a light through three liquid panels. These panels are responsible of blocking or letting the light to go across when needed. This particular projector is usually small and light which is considered to be an advantage. And, compared to a CRT projector, it consumes less power and is suitable for home theaters. DLP (Digital Light Processing) projectors on the other hand are ideal for both home and business use. An LCD projector may provide the brightest and sharpest output but a DLP projector has the best contrast ratio which is important in projectors for home theater. And, it is durable and operates quietly compared to LCD projectors. When it comes to home theater, you can choose between LCD projectors and DLP projectors. These two are naturally the most practical type of projector for your home theater. They may not provide the highest picture quality but they can surely serve their purpose in a home theater just fine.